A lovely summer night. A busy intersection in a big city. A chalkboard. A few simple ingredients for an intriguing video. 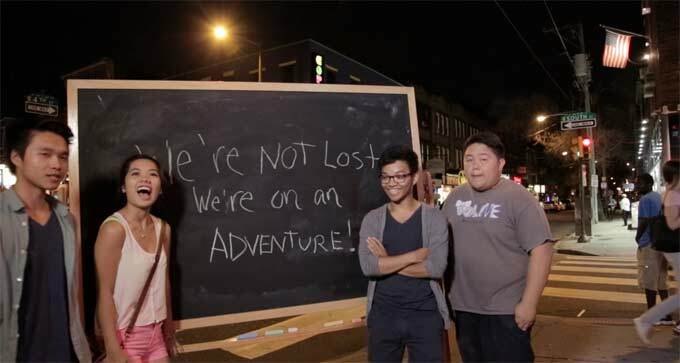 Not too long ago, a video production team in Philadelphia set out to offer a chance for passers by to share their message with the world. The team had no agenda, and no one who participated was coached. 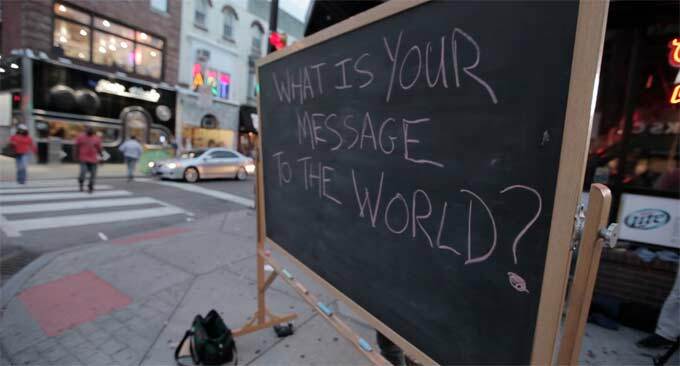 On one side of the chalkboard we wrote a simple question: What is your message to the world? On the other, people wrote from their heart. It’s a big question, but very few people appeared at a loss for words. For the next three hours we enjoyed recording the thoughts and ideas of these once- strangers who joined us on our adventure. 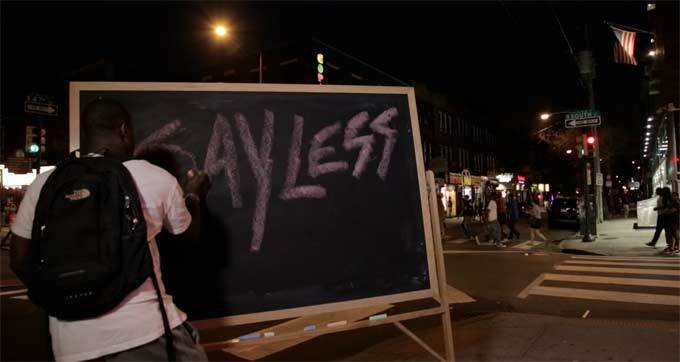 It was exciting to see messages revealed as people wrote on the chalkboard. Sometimes the messages were expected — a funky, happy girl with pink hair wrote “Smile” — sweet, but not a big surprise. Other times, however, people produced messages we could never predict. 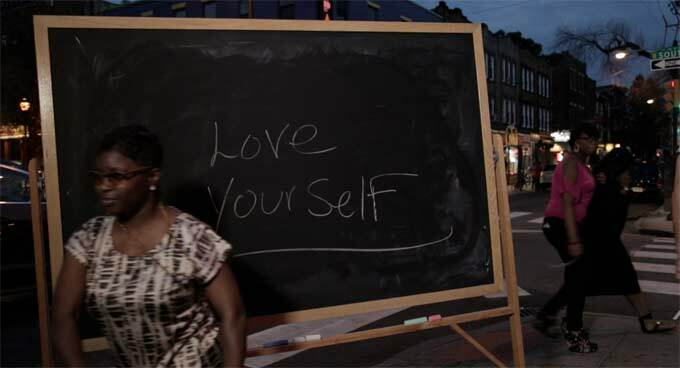 We were inspired by the positive energy, enthusiasm, good humor and thoughtfulness of strangers, and we were heartened by the recurring theme of self-love that people wanted to share. Passers by seemed very happy to have a chance to offer up their bits of advice to others in hopes of making the world a better place. The composite video expresses a range of faces and ideas gathered that night. Working on this project reinforced an important lesson I learned while making OC87: The Obsessive Compulsive, Major Depression, Bipolar, Asperger’s Movie with Bud Clayman — you can never assume what people might be thinking unless you ask them. And once asked, they may pleasantly surprise you. 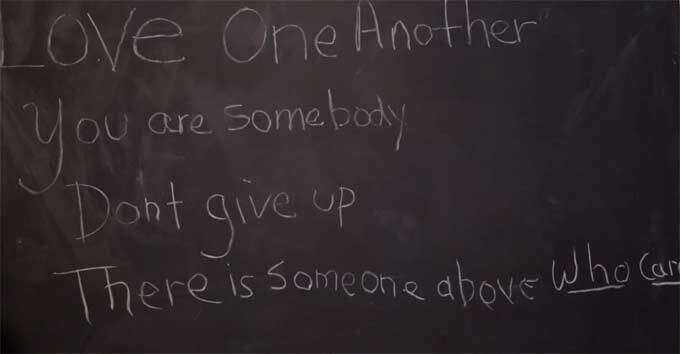 This video taught me that strangers may not be so strange, and that the person standing next to me in line at a coffee shop, seated next to me on the bus, or standing with me in the elevator may just have a message to share that can help me through my day. 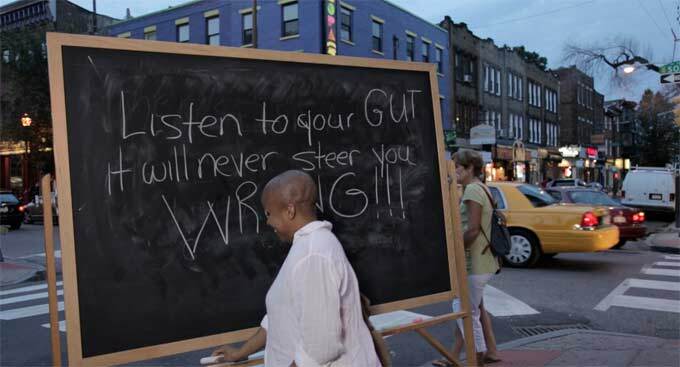 We would love to take our chalkboard on the road, to see what messages folks in other neighborhoods, other cities, around the country, around the world, would have to share with the world. 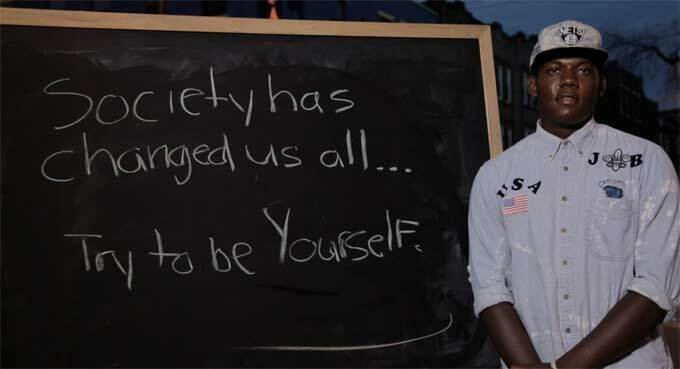 If you encountered us on a street corner, what would your message to the world be?